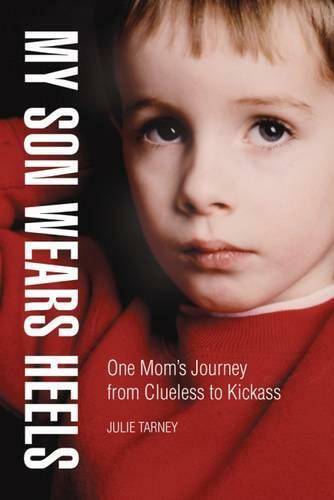 When Julie Tarney's only child Harry was two years old, he told her, "Inside my head I'm a girl." It was 1992. The Internet was no help, because there was no Internet. And bookstores had no literature for a mom scrambling to raise such an unconventional child. Terms such as transgender, gender nonconforming, and gender creative were rare or nonexistent. There were, however, mainstream experts who theorized that a "sissy" boy was the result of a domineering mother. Julie didn't believe it. She didn't want to care what her neighbors thought, but she did care. "Domineering mother" meant bad mother. Lacking a positive role model of her own, and fearful of the negative stereotype of an overbearing Jewish mother, Julie embarked on an unexpected parenting path as Harry grew up to be a confident and happily nonconformist adult. Harry knew who he was all along. Despite some stumbles, Julie learned that her job was simply to let her child be his authentic self.